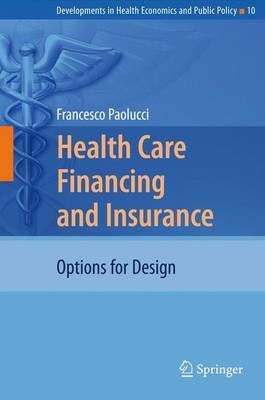 As a contribution to the search for suitable and sustainable solutions to finance rising medical care expenditures, the book proposes a typology of healthcare financing and insurance schemes, based on the dimensions of basic vs. supplementary services and mandatory vs. voluntary coverage, to analyse the design and the complex interactions between various financing and insurance arrangements in several OECD countries. This study provides a better understanding of the strengths and weaknesses of the financial and organisational structures of different countries' healthcare financing and insurance schemes. Its main contributions are the development of a novel and rigorous theoretical framework analysing the economic rationales for the optimal design of healthcare financing and insurance schemes, and an empirical and institutional analysis investigating the consequences for efficiency and affordability of the complex interactions between basic and supplementary sources of financing.